Email marketers are often concerned with the open rate of every email campaign. This is one way to determine whether your email marketing efforts are effective is to track the email open rates. Taximail counts the number of emails opened and read by using embedded image pixels in an email. Once the recipient opens this photo is loaded and the server will count at that time. There is also a link in an email if you choose the email recipients to click to load the images. When this happens, the system will also include a number of openings too. This makes the calculation more accurate. To ensure their message is read and distributed the brands need to focus on improving open rates and click-through rates. The open rate is the percentage of a number of recipients who opened your email from the list. It is an indicator of how much your recipients actually care about the content you send them. There are helpful ways to “BOOST” the open rate. The Subject Line is the first thing a customer sees when you send an email. If you haven’t tested or optimized your subject line it’s like throwing money in the trash bin. A/B Testing is not just for website or landing pages. This is essential for email marketing as well. Aim for more personal subject lines and follow some best practices. Don’t forget to test test test and test. Emails are more likely to be opened and engaged If it sounds like it's written directly to the recipient. It’s like talking in person in the form of an email. You can use the recipients first name in your opening and then write a message as if you were writing to one person alone. Keeping it personal will engage your readers and keep them going in the future. If you want your open rate to skyrocket? - then write quality engaging content. If the subscribers expect that you send them interesting, engaging and informative emails, you are on the right path. If the emails are just common that they can find elsewhere, emails will surely hit the trash folder. You should practice sending high-quality email contents and less frequent to keep the open rates high. Emails from the company get marked as advertising right away and can get your email deleted right away. If you send an email that appears to be an actual person at your company is more personal and more likely to get opened. We know that the recipient check first to see if they know who is sending an email. Timing is the key - most especially in email marketing. You can find this out by doing a research and test the list to see how responsive the recipients and time. You can then benchmark the best time they are active in their inbox. You can keep your content relevant by Segmenting your Email List. Breaking your list down into groups of similar recipients, you’ll better able to send highly relevant content, focused email blasts, improving your open rate process. By segmenting your lists, increases the likelihood that the message you send to the recipients is relevant to them. Yes, don’t buy leads just to jump-start your email campaigns it has been proven to have a very low open rate. Offering freebies like free e-books or contest in exchange for an email address is a better way to build your list organically. It is important also to review your list to keep it fresh by weeding out those are not active participants. It has a whopping 74% of smartphone owners open their emails on mobile. When your email does not read well on mobile then you are in trouble. 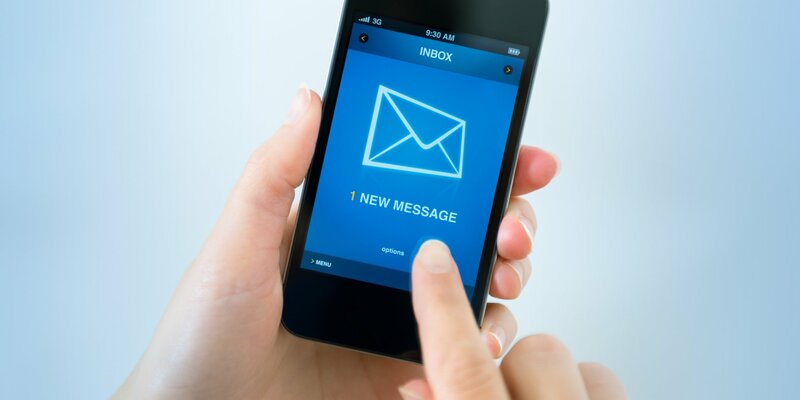 Once your email displays well on mobile it will improve your open rates, higher engagement, and more clicks. Use the information that can invoke the reader's curiosity, you are most likely to increase open rate. The reader needs to fill in the missing piece of information. You can also add videos to capture the audience attention and motivate them to click. If you intend to send long emails, multiple CTA’s gives the readers the open to click in the beginning, middle or end of the email. Wherever you feel that they need more information from you. Make it stand out and clear call to action if you have a clickable button. Like any other marketing channel, email requires relentless optimization to improve the open rate. With Taximail email marketing platform, there are helpful resources that you can use to help your email marketing campaign. These tips will help your email campaign to have more open rates.